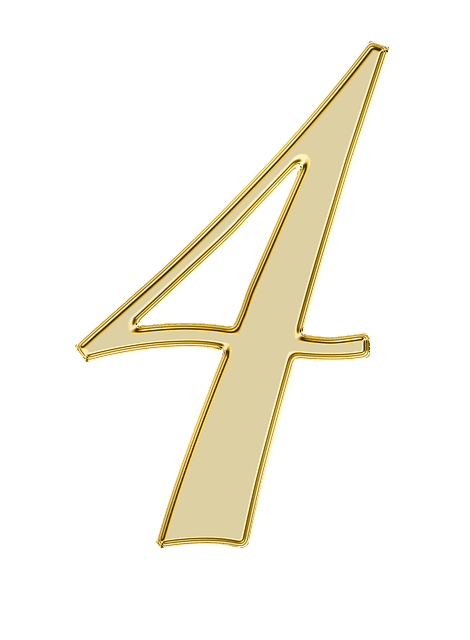 Home Numerology Angel Number Meanings Triple Digit Angel Numbers Meanings Angel Number 444 Meanings – Why Are You Seeing 4:44? Have you been seeing the number sequence 444 or 4:44 everywhere lately? The Angel Number 444 is a very powerful message from your Angelic guides. Pay attention to this Numerology message from the divine to decipher what The Angels are trying to communicate to you. Here are the Angel Number 444 meanings and why you are seeing 4:44! What Does Number 444 Mean? Why Are You Seeing Number 4 as 444 or 4:44? In order to understand what the Angel Number 444 means we must first dive into a study of what the single digit 4 means in Numerology. The number 4 is a number often associated with the physical world, the balance of pairs, and manifestation. Much of the physical world is broken down into sets of 4. For example, the Tarot is broken down into 4 suits, and we have 4 seasons in a year. 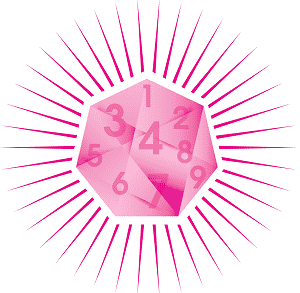 The Number 4 is a building block to many other significant numbers, take 12 for example. The 12 signs of the zodiac are often sorted into different groups of 4; 4 elements, 4 quadrants in an astrological chart, and 4 signs for each modality. If you are seeing the Number 4 everywhere start to consider what in your life constitutes your building blocks or cornerstones. Often major life events, people, and even your home act as points of reference in the construction of your reality. The Number 4 directly acts upon this need to have people and objects of stability in your life. The family often helps fulfil this human need, therefore, if you are seeing the Angel Number 444 consider your current relationship you have with family members. The Angel Number 444 is symbolic of the themes of the number 4 but amplified. The human brain is capable of picking up on information and recognizing patterns in our environment. Why is it that certain patterns seem to stand out more than others? When particular number sequences, symbols, and objects such as coins or feathers start to cross our path, then this is most likely a sign from the divine or angelic realms! When you start to open yourself up to spiritual experiences or ask for divine guidance events in your life start to line up. You may find your self in uncanny situations that can only be explained by coincidence or synchronicity. Synchronicity is an idea developed by the famous Swiss psychiatrist Carl G. Jung during the early to mid-1900s. 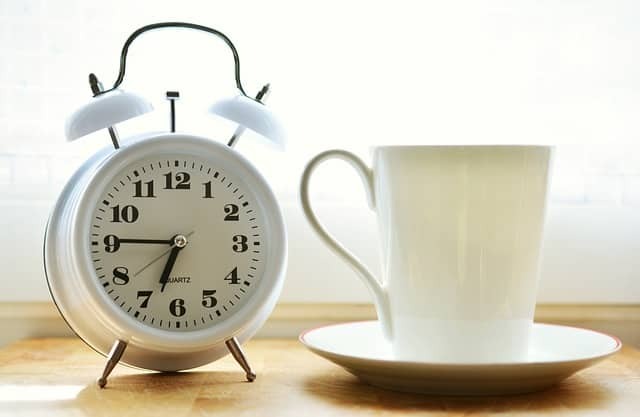 This idea of synchronicity provides further explanation and study to the meaning behind coincidences. The fact that your brain picks up on specific number sequences more than others certainly seems like more than a coincidence. When you notice these Triple Angel Numbers, this is a synchronistic event in your life. As the universe is built largely on symbols, this gives you endless opportunities to tap into vast areas of knowledge, wisdom, and meaning in your spiritual studies. Numbers are one such divinatory tool. The significance of the number meaning in Numerology and Triple Angel Number meanings allows you to synch up with the vibration of the universe. So you are seeing the Numerology numbers 444 everywhere or 4:44 on the clock? For example, you are driving on the highway and notice a license plate with the numbers 444. You wake up in the middle of the night to glance at your cell phone and see the time, its 4:44. So, what does 444 mean? 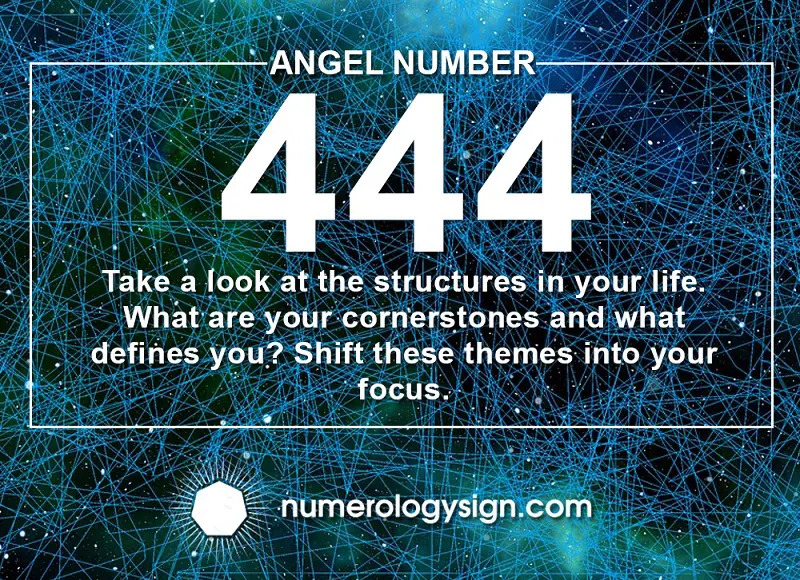 Seeing the Angel Number 444 or 4:44 around is a supportive message from the Angels or your Angel guides asking you to take a look at the structures in your life. Keep your heart open and other senses open to what specifically these spirit numbers mean for you. What are your cornerstones and what defines you? The Angel Number 444 is directly messaging you to shift these themes into your focus. If you see the triple-digit Angel Number 444 or 4:44 it is also helpful to consider what you were doing or thinking about at that time. If your mind was on a particular subject, person, or idea then seeing this number sequence at this time may be related. Practicing mindfulness or spirituality can help open up your channels of understanding and communication with the angels even further. 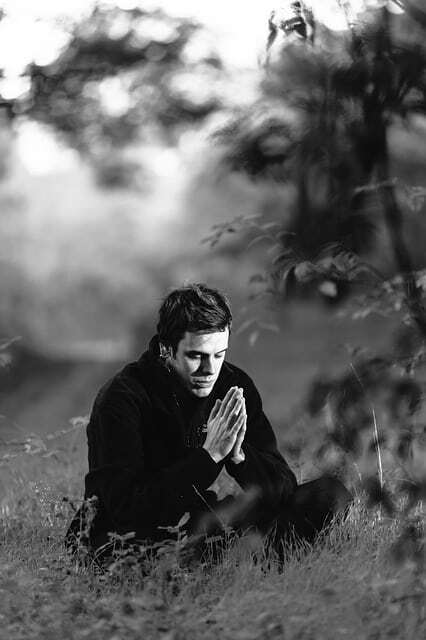 When you are mindful you are better prepared to receive the divine messages available to you! Seeing the Angel Number 444 everywhere in your midst has particular meanings the Angels are trying to convey. Here are 5 possible messages for why you are seeing 4:44! Read through the list and see which meanings resonate with you most. 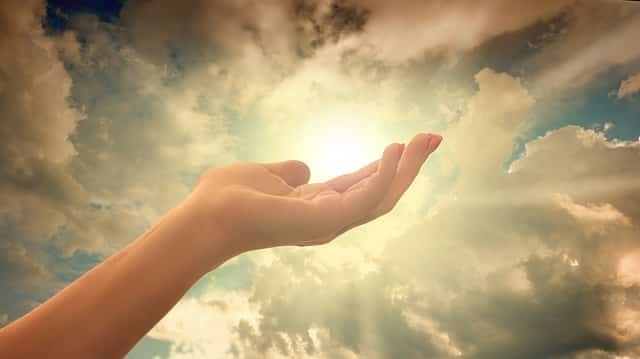 If you are vibrating with the frequency of the angels and the divine you will know which of these Angel Number 444 messages are especially for you! Do you seek guidance and insights into the past, present and future, with regards to relationships, love, or money? 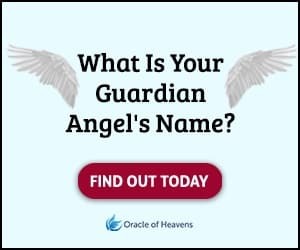 Before we discuss the possible meanings for seeing Angel Number 444, take this popular free test to see whether your Guardian Angel is trying to send you an urgent message. When the Angels help align you with the vibration of the Angel Number 444 this could be a message that they are giving you validation. The Angels want you to know that you are being fully supported. They are showing you that the path you are on is the right path and to keep moving forward! The Angel Number 444 is giving you this much-needed validation! At times you may feel misunderstood or that no-one agrees with your point of view. This is when the Angels step in and take over. They are giving you the loving and gentle support you need. This sign of unconditional love demonstrates that no matter how other people are acting around you, your feelings are honest, true, and authentic to you. The number 444 is your cosmic cheerleader, saying keep going! You are on the right path! There is no need to worry if others do not agree with you or your decisions. The divine angel guidance is giving you all the confirmation you need. The Number 4 can represent some stubborn tendencies and seeing the Angel Number 444 is a sign that you may be somewhat stuck in your ways! Seeing this number sequence is a message form your Angel guides that it is okay to ask for help. Sometimes it is necessary in life to get support from others. No one is expecting you to do everything on your own, which is why there is help! The Angels are reminding you that no one will know you need help unless you ask. The Angel Number 444 is a reminder to loosen your boundaries. You can take some of the pressure off of yourself. Giving your fears to the Angels is a great way to lift some of the burden and responsibility you feel. Humans are not perfect nor are we meant to be! The Angels want you to know that asking for help is not a sign of weakness but a sign of honesty. Seeing 444 is a signal that you have found the courage to ask for help when you really need it. You can ask for help from your Angel guides, deities, a spouse, partner, best friend, or any other trusted confidant. The Angel Number 444 is confirmation that you have done all you can and now you need to turn to trusted allies to get where you want to go! As 4 is representative of building blocks, along with slow and steady progress; seeing 444 can be a sign that it is time to take action. When you are trying to manifest your dreams you don’t often see any progress without making moves. The angels want you to know it is possible to manifest your dreams into the physical world, with a little work on your end! When you see the 444 this is a clear sign that the Angels are saying now is the time to go for it! Even if your dreams take years to manifest, this sign from the Angels can be very comforting and supportive. Seeing 444 signifies your ideas are taking shape in your life. They are coming into focus and actually happening. They have moved from the concept phase into physical form. Nothing can happen without you taking your first step though. Seeing this number sequence is your signal to change careers, start that blog, or ask that person out! On our road to success, we often encounter blocks in the road. This is normal and part of the spiritual growth process. In order to achieve our goals, we may have to bear the brunt of a few failed attempts as well. 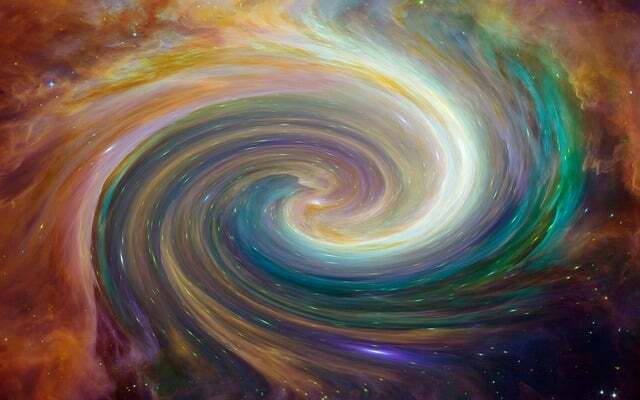 Seeing the Angel Number 444 is an enthusiastic message from the Angels that all roadblocks have been cleared. The Angels are assisting you in developing a plan that allows for smooth sailing. You may have just gone through a rough patch and the Angels are telling you it is possible to embrace peace, security, and prosperity. Angel Number 444 is a message of hope for the future. It is likened to the clouds parting and light streaming through; another powerful sign from the angels that relates to this number sequence. You are receiving divine guidance at this time saying: you have learned all you can from a situation and get ready for what is next! The Angel Number 444 can also relate to cycles of change in your life. A door might be closing or a chapter in your life might be ending, but another one is opening up. When you see 444, you are being given this comforting message. This is a reminder that the Angels are with you through change and transition. Through difficult choices, break-ups, or other endings, a new beginning is always around the corner. The Angels want you to be open to new possibilities! They have given you the Angel Number 444 as a benevolent reminder that your story continues. You have the power to write what happens next. The Angel Number 444 demonstrates that your angel guides are behind you and carrying you through to your next move. You can restructure your life as you see fit, build the life you want, and be the person you want to be. Further exploration of the Angel Numbers can provide you with profound guidance on your life’s journey. 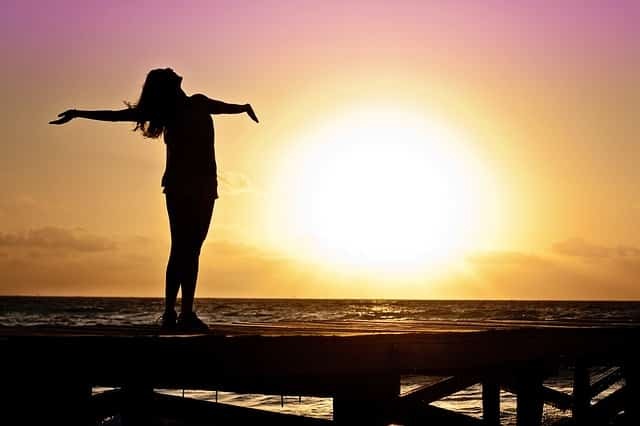 As you become more in touch with your intuition and the vibrational frequencies of angels these spirit number signs will become more and more pronounced in your life. Pay very close attention to what information, guidance, feelings, and thoughts come through when interacting with the Angel Numbers. The Angel Number 444 is a very solid symbol of divine guidance. Have you been seeing the number 444 or 4:44 everywhere, what meaning resonates most with you? Angel Number 444 Meanings - Why Are You Seeing 4:44? The Angel Number 444 is a very powerful message from your Angelic guides. Here are the Angel Number 444 meanings and why you are seeing 4:44! This was an amazing article!! I have been seeing this number for years, and I’ve been reading what it means for months, because I wanna understand why things are happening the way they are in my life. Thank you!! Because this is exactly what I was looking for. Yesterday I saw 3:33 today I saw 3:33 I also saw 4:44 yesterday and today I see all the numbers regularly i was reading through but stopped at number 4 went on coin master started spinning the slots looked at the timer and saw 00:44:44 its incredible that i saw the 4, in less than half a second it was gone thankyou for this its helped a lot. 3 days in a row ive seen the numbers 222, 777, 555 and today as i stepped out of the taxi i saw 444…. all plate numbers…. i have no clue what all these numbers mean and where they are leading me but it feels like something is coming in my life although i cant pinpoint what…. This is amazong! As I am reading all these comments. It seems we all have been having positive reinforcements in our lives. This was just what I needed. I’ve been seeing 444 for about 6 months now almost every day. Then 333 and 222 and recently 555 and 1212. Usually its the time but sometimes its also my total at a register or a number on a license plate or nearby sign. This is wonderful and every time I read more about the meanings I feel better. So now when I see these numbers I find solice and comfort in them. Great things are headed my way. The last 20 years 444 is my guideline in life. I see it everywhere. But a few weeks i was driving in my car and was listening to the radio. Suddenly the man on the radio said : it is 9 o clock, 44 minutes and 4 seconds.. I was flabbergasted, my entire life i had never hear a radio dj say the time so exactly.. It still gives me goosebumps.